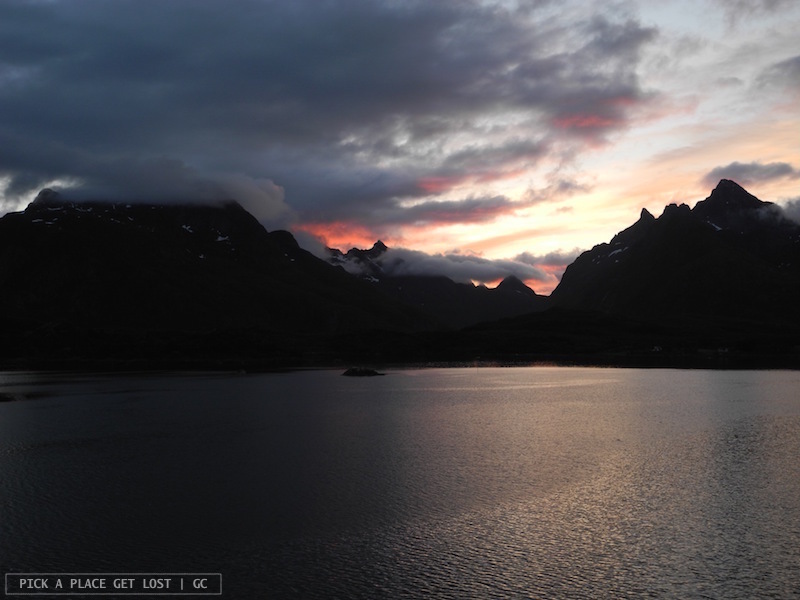 It was almost 10 o’clock at night when Bobby and I boarded the MS Nordlys Hurtigruten in Svolvær, the capital of the Lofoten Islands. 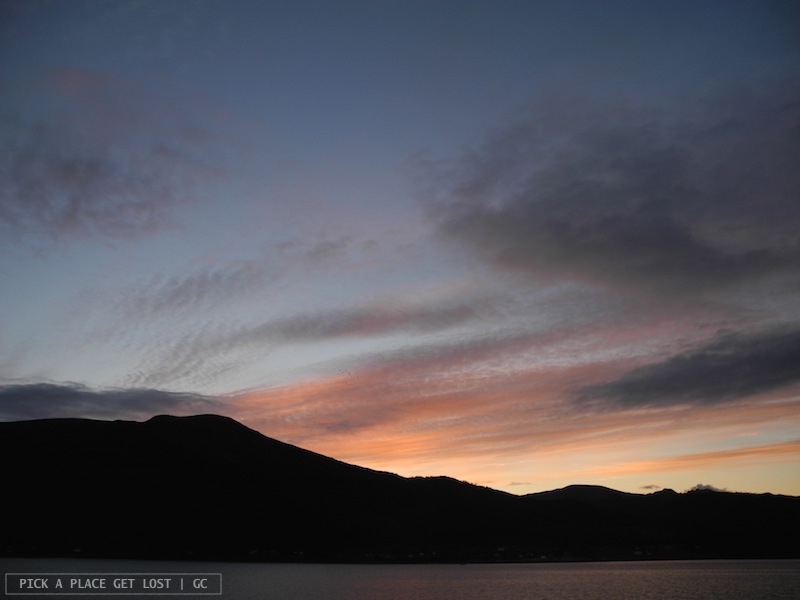 We’d be travelling overnight and the whole of the next morning, only to arrive in Tromsø around 2.30 in the afternoon. 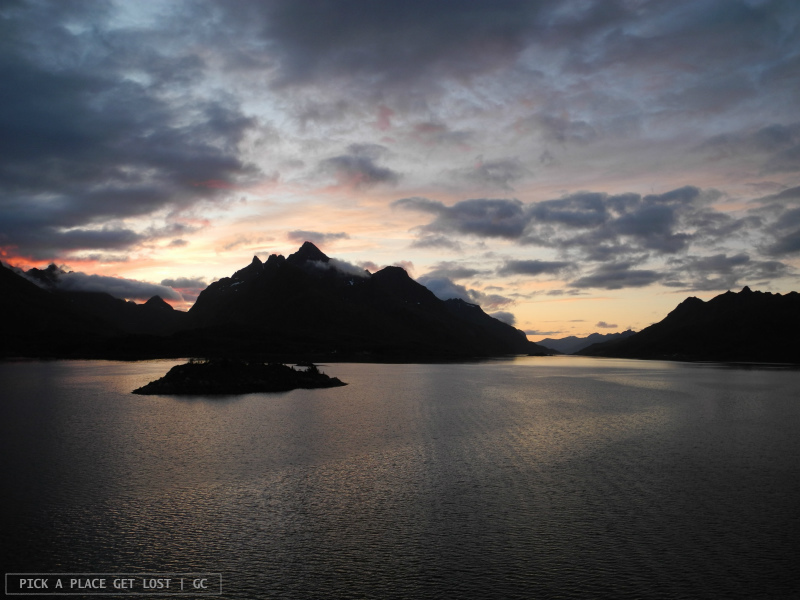 We had spent four whole days island hopping around Lofoten (with a bit of Vesterålen along the way), it felt almost kind of weird to go back to mainland. We didn’t spend that long waiting for the boat on the pier. 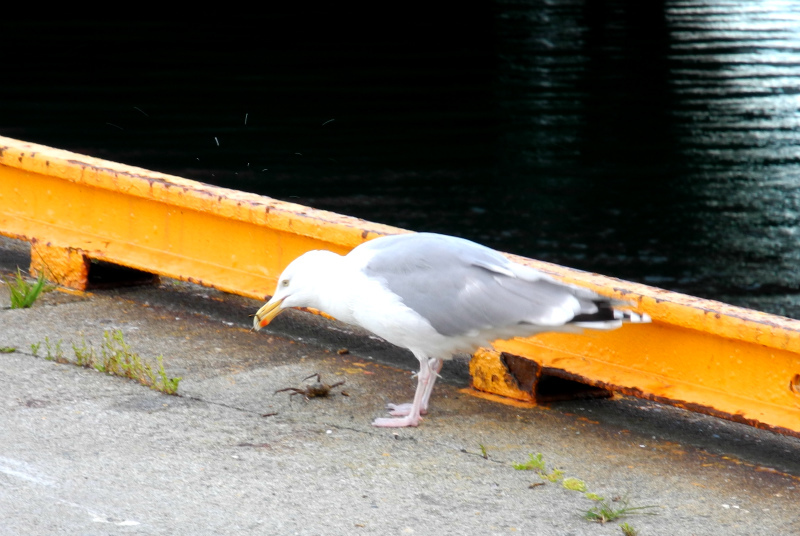 In fact, we got there just in time to witness a fearless seagull fish a huge crab out of the water and contentedly crunch on it on the asphalt of the pier. 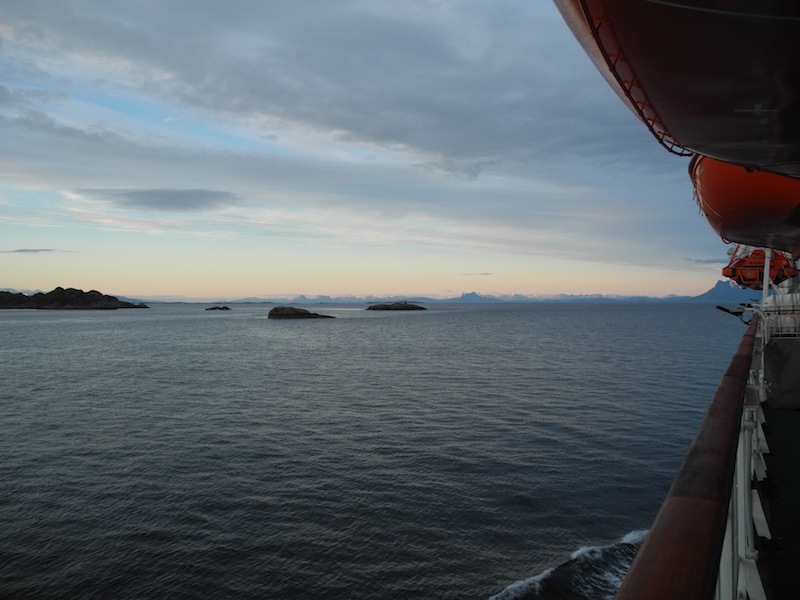 Then the Hurtigruten came, and we boarded. 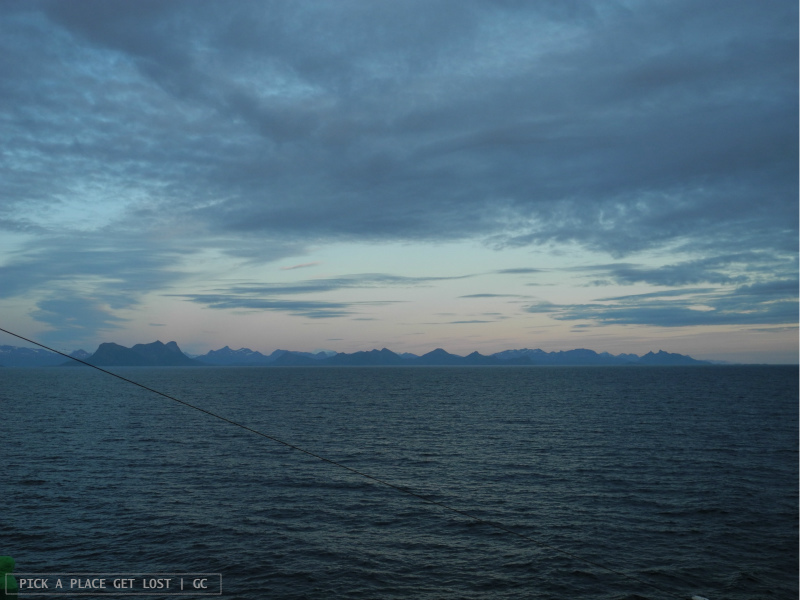 It obviously might take a while to get used to 24-hour daylight above the Arctic Polar Circle. For me, for example, it’s not about not sleeping when you go to bed at night, but more about not being able to tell the time, like if it’s 8 o’clock in the evening (‘Ah that’s why I’m hungry’) or past midnight (‘Ah that’s why I’m sleepy’). That evening the sky was overcast, yet exceptionally bright. I thought that maybe the weather would get a little better, after all the nonstop rain, wind and cold we had experienced till then. We went straight on deck, as did the majority of our fellow travellers: it was too early to stay in. Don’t ever allow yourself to stay away from the deck for too long, if you can, or you might regret it. I mean, the landscape. I think I kept staring at the scenery for about two to three hours nonstop. Well, it kept changing by the second, so one had to keep an eye on it. On one side of the boat the mountains suddenly turned orange, so intense was the sunlight reflecting on them. On the other side the mountains were visible in the distance, where their outline made them look like a black frame to the sky. We eventually went back inside around 1.40 in the morning, and collapsed into our ‘armchairs’ – yes, still the chairs I mentioned above, i.e. ordinary café-like, wooden chairs with a cushion seat. I tried hard to fall asleep, but just couldn’t bring myself to get some shuteye. How can I think of sleeping? What if I fall asleep and miss out on the best part? What if the clouds part and the sun peeks out and I miss it? I must have asked myself one too many questions, because that’s exactly when I fell sound asleep in my chair. I woke up suddenly, with a start, like when you have to wake up early, but fail to hear the alarm clock and sleep till late. I looked out of the large window and… I could barely believe my eyes. The sun was out, round and bright, and the mountains looked like pieces of cut-out blackboard neatly glued against the sky. It was 2.40 in the morning, and the sun was ‘setting’. But there was no one. The deck was empty. I was alone. Why? Where is everyone? Why are they asleep now? I stayed there for a while, took photos, and thought that was the most breathtaking view I’d ever enjoyed in my life. I went back downstairs, collapsed into my chair (again), and fell asleep (again). I woke up some time later, because it felt like someone had turned on a spotlight, and was pointing it toward me. But, again, it was the sun. It was 4.20 in the morning, and the sun was ‘rising’. I ran back up on deck and, again, to my surprise, I was alone. It was unbelievably silent all around, and as for the view, well, again I thought that was the most breathtaking view I’d ever enjoyed in my life. The air was so clear, the sun almost white, and the light exceptionally bright. The mountains looked lush and green, covered in meadows and trees. 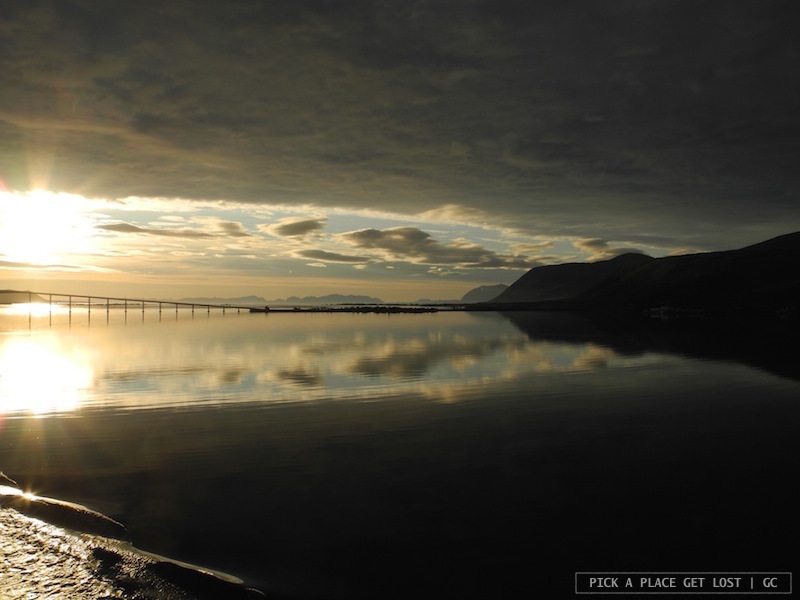 And the water, it was so calm that it really was like a mirror, the landscape casting a perfect reflection into it. I remember thinking that I was standing in the middle of a painting. I stood there for a while, as still, motionless and silent as I could. It was all so mesmerising that it looked like nothing could spoil such beauty anyway. I eventually went back inside to get some actual sleep. When I woke up around 8.30, the sky was heavy with clouds, the view looked misty and grey and, oh the irony, after that night not once did we get sunny weather again during our travel. 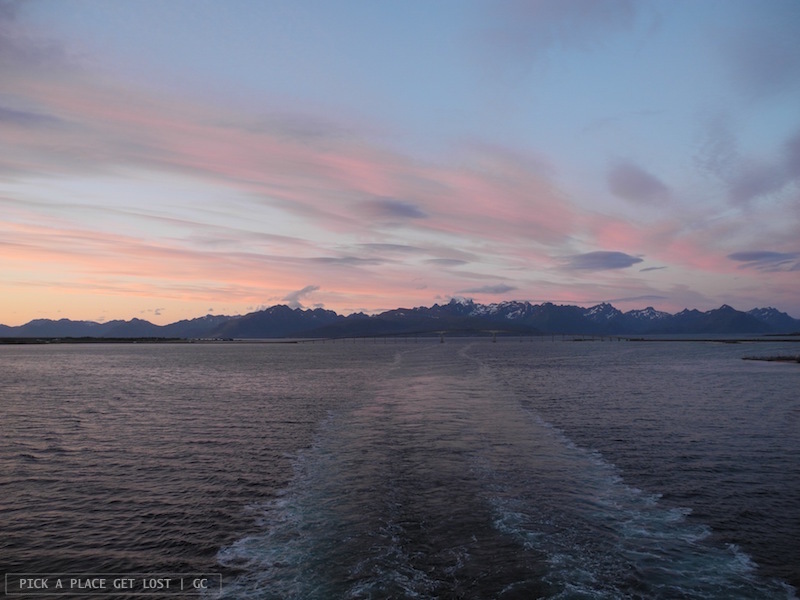 That night, though, exceeded any possible expectation I might have had about sea travel up North. And that is why I would recommend it to anyone asking for suggestions. 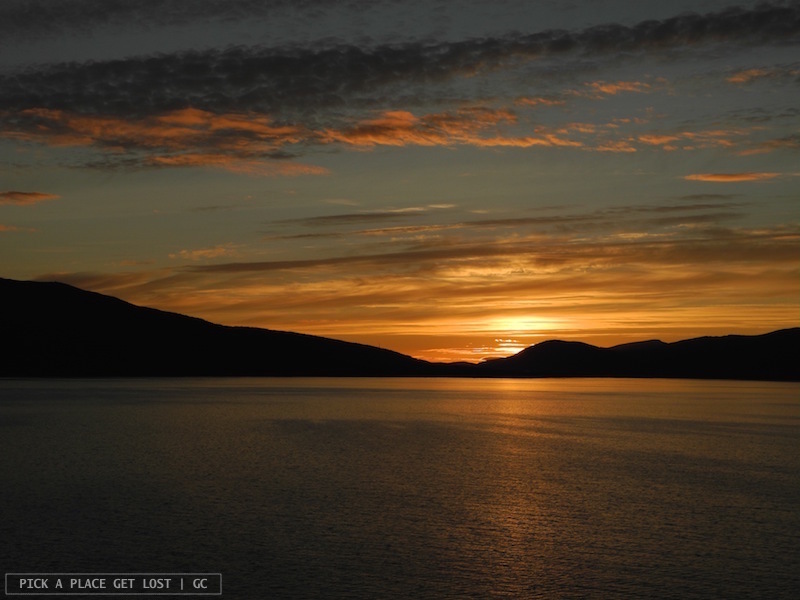 True, if you pick the Hurtigruten it’s potentially going to be rather pricey. Mine, however, is an educated guess: I haven’t been on one in years, nor am I too familiar with the ticket fares these days. And, true, you need to have some time on your hands. 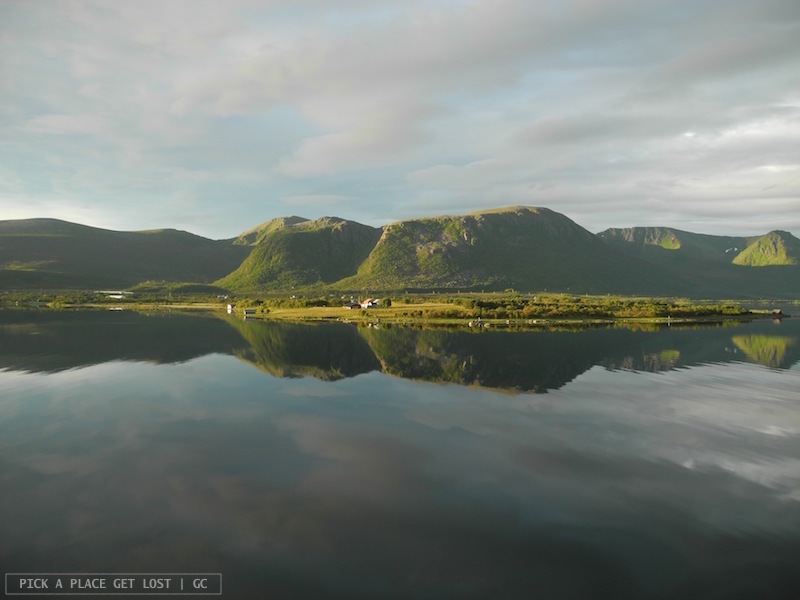 I mean, you can’t visit Norway on a weekend trip and expect to visit Norway and go on a Hurtigruten/boat voyage. It deserves to be experienced properly. Time and money aside, though, it’s mostly and especially about filling your eyes with such beauty that it stays with you forever and, years on, it’s still as vivid as if it had all just happened. 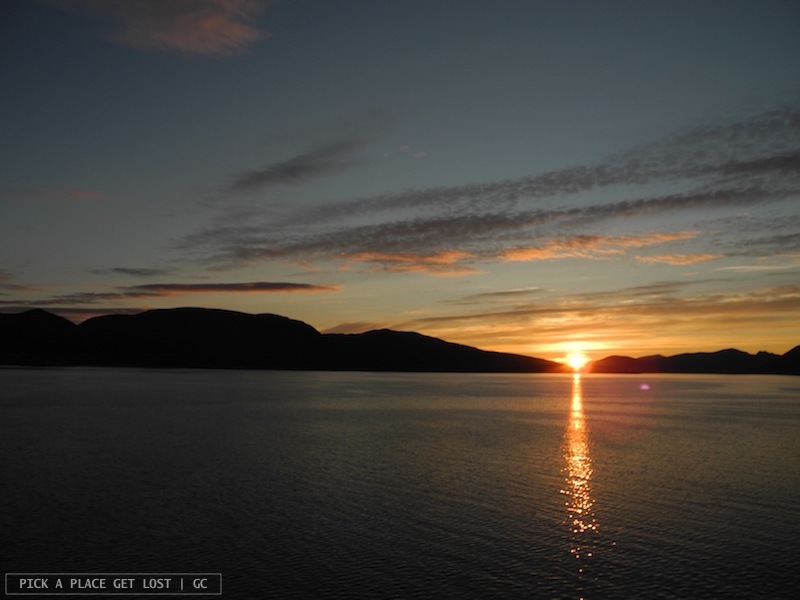 So, really, if you ever have an opportunity to take a trip at sea in Norway, be it on the Hurtigruten or some other boat, just go out there and see for yourself. 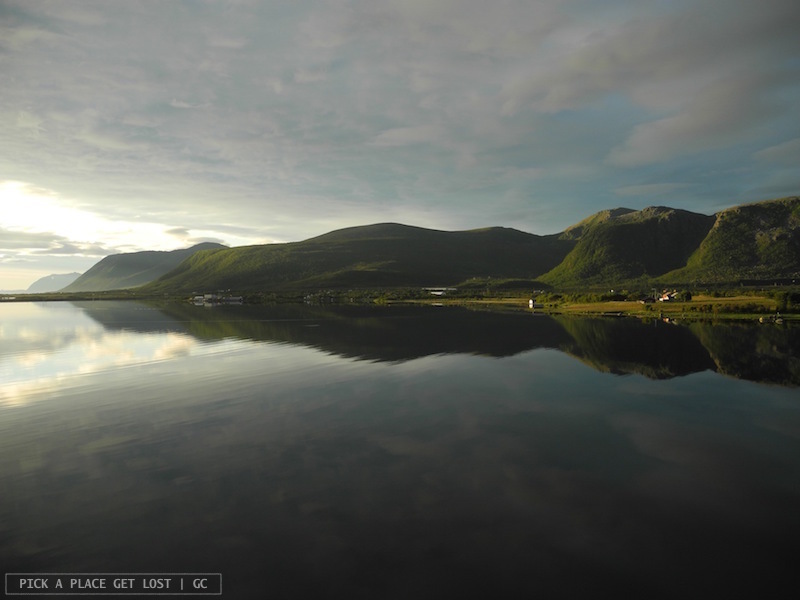 This entry was posted in Norway, Norway 2012 and tagged hurtigruten, hurtigruten voyage, night voyage, norway by Giorgia. Bookmark the permalink.